Primary Care is the delivery of health care from physicians who have a broad training of medical issues for treatment for populations across the entire human lifespan, from pre-conception to natural death of the elderly. The Primary Care physician is the “first degree” access to medical care for the average person. One could say that it operates on the “front lines” of the delivery of healthcare. The Primary Care approach to the delivery of medical services allows for the familiarity between a doctor and a patient to exist as a continuous basis. Medical specialty needs would be accessed from the Primary Care physician’s direction. When the patient has completed the specialty services there is an expected return to care from the Primary Care physician. What specialties are included in primary care? Why does Pathway to Med School Focus on Primary Care? The State of Georgia is experiencing a shortage of Primary Care physicians. In order to address this great need, PTMS is focusing on assisting, supporting, and delivering students who have the capability to learn, become licensed, and have the desire to serve in the rural counties that need physicians so badly. 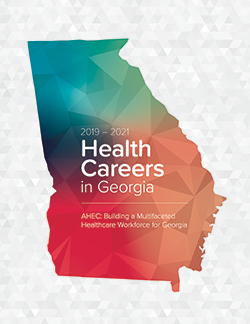 Until the federally mandate ratio of physician-to-patient is met, this program will continue to be a necessary part of the solution to bring quality health care to the under-served in southwest Georgia.